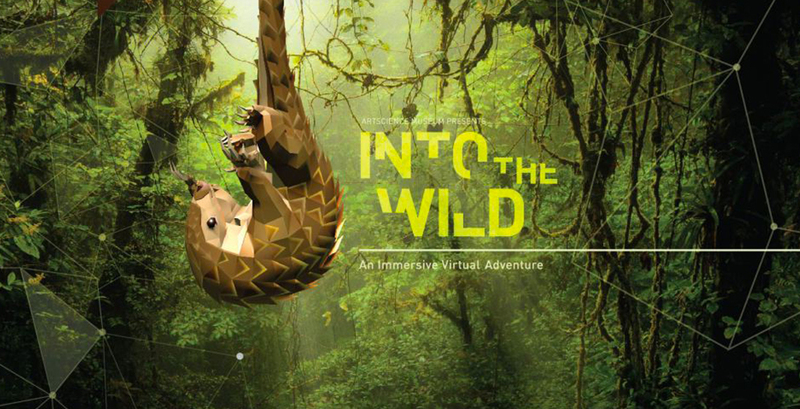 Into the Wild is a mixed reality experience taking place in Singapore’s ArtScience Museum. Visitors can freely explore an immersive exhibit in which the entire museum transforms into a virtual rainforest, thanks to Tango. The app tracks motion and understands depth, distance travelled and objects inside the museum-turned-rainforest. The rainforest is inhabited by endangered animals people can interact with to learn about the dangers they face from human impact. Into the Wild becomes a reality when the virtual tree that people can plant as a symbolic act becomes a real tree in Sumatra donated by the project’s sponsors. Making a real-world difference using Tango, a cutting-edge technology by Google at the museum’s latest permanent development, Into the Wild: An Immersive Virtual Adventure is a great example of connecting science, immersive storytelling and preservation of wild life in practice. Into the Wild is made by ArtScience Museum, Google, Lenovo, and WWF, in association with Panasonic and Qualcomm, working with the creative talents of MediaMonks and Singaporean artist, Brian Gothong Tan. 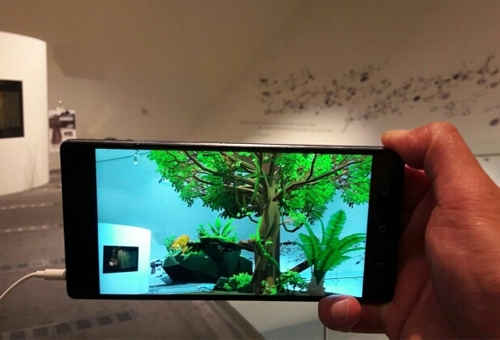 It transforms over 850 square metres of ArtScience Museum into a virtual rainforest, which you can explore using a smartphone device. Your virtual adventure becomes reality, when you take an active role in replanting the rainforests of Southeast Asia. For every virtual tree planted, and accompanied with a pledge to WWF, a real tree will be planted in a rainforest in Indonesia. Courtesy of ArtScience Museum Singapore. Since the start of Into The Wild, 10,000 trees have been planted in the Eastern part of Rimbang Baling, Pencong Valley. This land used to be the primary forest that was illegally cleared for palm oil plantations but with the support from initiatives like Into The Wild, and through the thoughtful work of the WWF field team, local rangers and the locals, this area has now a second chance. The process of tree planting is a laborious and sometimes treacherous task. To get to the planting site, WWF staff, local communities and volunteers travel 22km from the nursery through dirt roads and major rivers to transport seedlings, clear land, plant trees, and document the growth of each tree. Today, there are as few as 3,900 tigers left in the wild globally, all of which are found in just about 5 per cent of their original range, compared to over a century ago. As top predators of the food chain, wild tigers play a crucial role in maintaining balanced ecosystems that support thousands of other species and millions of people. The reforestation in Rimbang Baling has been critical in rejuvenating its tiger population as it connects otherwise isolated tiger landscapes around Sumatra, ensuring the long term viability of tiger populations. Earlier this year, camera traps captured rare sightings of tigers returning to the reforested areas. Seeing a few of the last 400 Sumatra tigers, healthy and secure in its natural habitat underscores the importance of the efforts by WWF and its communities, and the far reaching impact of the contributions from those here in Singapore who take part in Into The Wild. Into the Wild begins at ArtScience Museum’s Basement 2. 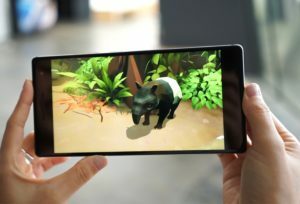 Using Lenovo's Phab 2 Pro, the world’s first Tango-enabled smartphone, you will step into the role of a wildlife ranger and embark on a virtual reality adventure. Immersed in a lush digital world, visitor will encounter some of the key inhabitants of the Southeast Asian rainforest - pangolins, tapirs, mousedeers, orangutans and tigers. He/she can learn about the imminent dangers they face, observe the animals in their natural habitat, and take action to defend their environment. The adventure will lead visitors around museum and up to Level 4, where their actions can help restore the rainforests of Southeast Asia. When visitors plant a virtual tree within the museum, and accompany it with a pledge to WWF, a tree will be planted in Rimbang Baling, in Indonesia - one of the last pristine rainforests in Sumatra, and critical territory for endangered Sumatran tigers. So visitors actions will transcend the virtual world and make a significant, real-world impact. Once visitors planted their tree and made their pledge, they can step into the transformative world of Brian Gothong Tan’s installation and experience the forests of Southeast Asia in a larger-than-life, cinematic world. Into the Wild culminates with a cinematic experience, directed by one of Singapore’s leading filmmakers, Brian Gothong Tan. Using state-of the-art animation and projection-mapping techniques, Tan has created a portal through which you pass from the virtual reality of the digital adventure, into an immersive, cinematic experience on a spectacular scale. Tan’s thought-provoking film depicts the fragile habitat of the five animals featured in the virtual adventure - pangolins, tapirs, mousedeers, orangutans and tigers. Inspired by the work of explorer and naturalist, Alfred Russel Wallace, and Mexican mural painter, Diego Rivera, Tan's film eloquently and fluently animates the animals’ journey from creation, to destruction and rebirth. The production of this project posed a huge problem that was unique to this mixed-reality experience. Into the Wild was designed to work in only one place on the planet: The ArtScienceMuseum Singapore. Designing a seamless experience is hard, especially when the project is based in Singapore and most of the development team is based more than 10,000km away in Amsterdam. 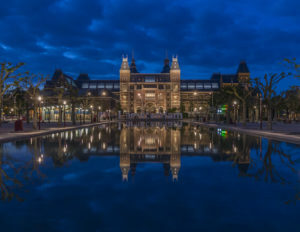 To overcome this the museum was recreated in VR, so developers in Amsterdam could work on the project without ever needing to visit Singapore. They designed the virtual world in Unity3D and used a true-to-scale model provided by the museum as a reference for where everything would have to go. By using a blueprint of the museum and custom VR tools, producers were able to successfully design an experience unique to the museum’s architecture—all without actually being there. It was a powerful example of how we can use VR to not only provide experiences, but as a tool to solve problems like this. They put a digital rainforest inside a museum using mixed reality (AR and VR) to bring attention to the cause of saving the Sumatran rainforest in a uniquely emotive way. The Circular Oculus hallway of the Singapore ArtScienceMuseum was transformed into a living, life-sized digital environment that helped visitors interact with, and experience, the breathtaking beauty of the wildlife within. By using mixed reality to bring awareness to the plight of the forest, they were able to dig into a deeper level of empathy and emotional connection. Visitors were able to explore on their devices together with a feeling that they were part of a reality that may soon fade away. By using mixed reality, the aim was to add a much deeper level of impact in the story museum wanted to tell. The visitors needed to be able to go at their own pace and make their own decisions throughout the experience. At the end, the impact of forest fires and deforestation would always leave a mark on the visitor by losing the lush world they just explored. But to add a positive ending, users were able to plant a "seed of hope" which brought back all of the animals, trees, and beauty they just explored. 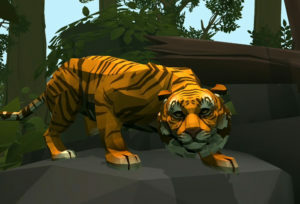 The real-world impact was tangible, as WWF planted a real tree on Sumatra for every virtual tree that was planted. Highlighting mixed reality as an educational tool was extremely important to the project. The ability to transform one’s surroundings into anything we desire makes it possible to educate and inspire members of the public about crucial ecological issues like these. By inserting museum guests into a virtual forest environment, we can make this issue much more palpable than a poster—or video—ever could. We can create more empathy in visitors by drawing on more of their immersive senses. Not only this, but because this project was experienced on a device, people could create an impactful moment together. That’s something no other medium can match. Would the virtual world they created be aligned with the real-world museum using the area learning data? Could visitors complete their journey without bumping into real objects? As the developers say, they were lucky to have so many amazing people that worked on this that every element meshed together seamlessly, and their first on-site test group had a perfect experience. Everything worked so well that even after 14 months post-launch date, visitors can still step Into the Wild and save the rainforest from disappearing. Nothing like this project had ever been done at this scale. ASM: Into the Wild is, by most accounts, the largest mixed-reality experience ever created. At the time, no one had attempted to use Google Tango technology for such an endeavor. This meant the difficulty of this project was high, but the potential payoff made it worth it. Into the Wild was a chance for developers to show all what the future of mixed reality could look like. 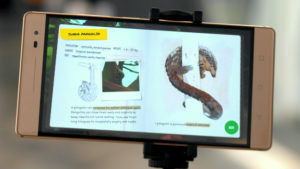 They were able to get past these difficulties with innovative design and production techniques and working closely with the Google Tango engineering team so they could nip technical issues in the bud as they arose. Where VR has been talked about as an empathy machine, they see AR as a method to create action and interaction, so the most rewarding aspect was seeing guests experience the rainforest's plight in real time. For the first time, they can actually feel how their actions relate to an environment they may have never felt part of. Many have never seen anything like this before, especially the children taking part in the experience, and it helps them think about what technology holds for the future. But most importantly, this experience embeds visions of what humanity holds for the future of the rainforests in the minds of visitors. 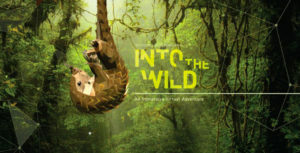 Into The Wild is one of the most exciting projects for rainforests conservation. In this one-of-a-kind collaboration with Google, and Lenovo, ArtScience Museum Singapore shows how cutting edge technology can effect real-world positive change. Central to the undertaking of Into the Wild is the restoration of the Rimbang Baling Wildlife Reserve in Sumatra, Indonesia. This is among the last places in the world where tigers, pangolins, mouse deer and tapirs co-exist. However, the reserve is under consistent threat and there is an increasing need and urgency to understand, protect and restore this vulnerable animal habitat and forest ecosystem. By planting a virtual tree here and making a pledge to WWF, visitors can actively protect the homes of these endangered animals. As a special Thank You, WWF will plant a real tree in Sumatra. This will help bring back life and biodiversity, protecting these vital territories for endangered species. Participants will receive photos of the tree as it grows and also the exact coordinates, so that they can watch it grow on Google maps. 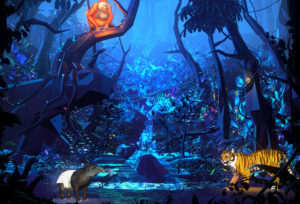 The visually stunning animation is Tan’s thought-provoking depiction of how five protagonists – pangolins, tapirs, mousedeers, orangutans and tigers – are trying to survive in their fragile habitat. It is inspired by the work of explorer and naturalist, Alfred Russel Wallace, and Mexican mural painter, Diego Rivera, and is not to be missed.